VB: What led you to develop the Navigator Code? Charles Smith: It was a bit of an act of desperation! I woke up one day and asked myself what really works in leadership development and in managing change? I thought about organizations that excel. They all seemed to have a code, so the question arose whether having such a code could make a big difference. The question led me to many of the ideas in the book. I considered the U.S. Marines, Nordstroms, SAS, the health spa at Canyon Ranch, extraordinary symphony orchestras, and other examples. They're all serving a noble purpose as well as a business purpose. They're effective. People practice behaviors and skills, they're disciplined, and they care. There appears to be no alternative to being disciplined and practiced. I also spent a lot of time studying and taking courses at Disney where there's a code of the standards of conduct for employees. Or take the New York Yankees, L.A. Lakers, or any other sports teams that win championships over and over again. Besides great coaching they all have a code that's partly ethical, partly behavioral, and partly about performance. VB: Are there three or four of your 21 code elements that you think are particularly important or instructive for those who would like to become Navigators, enablers of sustainable transformation? Charles Smith:	The code elements become important by virtue of the situation you're in so they all have applicability. The one I keep returning to is the code about being committed to the success of the person or the group I'm talking to. Your success in writing this article for IdeaConnection and getting what you want out of it is the purpose of our conversation. This code builds the bridge between us. I could either be for you or against you, or not care one way or the other. When two or more people are committed to each other's success or just one person is for another's success, all kinds of non-silo, bridge-building, energy-flowing, and performance-enhancing things become possible. This is a key design principle; it's the singular basis of a Navigator's success. Another important one is engaging in conversation from a position of not knowing – the "Beginner's Mind." It means paying attention to your confusion rather than your certainties. A third one I find instructive is the idea that "From an Impossibility Anything Flows." Thinking something is impossible blocks imagination. Asking what you have to do to make what is impossible become possible for you or your group, frees your imagination to think from the future. People only think about what they see as possible, so this is a code element that will help lead to transformation. If I had to pick three, I'd pick those but all of the items in the Navigator Code will bring you back to the zero point. To a point of creativity, personal freedom, and the ability to act based on what's in front of you. This is preferable to being restricted by what you already think is true. VB: Is your concept of "Noble Purpose" in the Navigator Code different than Robert Greenleaf's "servant leadership?" Charles Smith:	Probably in spirit. Servant leadership, as I understand it, is a way of leading. As part of a leader's way of operating, Noble Purpose is a lot like Robert Greenleaf's servant leadership, but it's about the attempt to elevate the paradox between profit purpose and a noble purpose. The intent is to make both of these the goals of an organization, and to do it with conviction. Noble purpose can be construed as a way of leading, but I think of it more in terms of a strategic intent for an organization, a group, or an individual. It is whatever someone thinks will be an important contribution in the service of others. I've been talking to clients about the idea that if you have a noble purpose all kinds of interesting and wonderful things will happen. Increasing numbers of companies want to do something for the world with values-based, realizable propositions related to their existing business, or in partnership with others. This noble purpose is a matter of choice. It could be addressing a social problem or some other cause, but it has to have an ethically uplifting purpose. It will be held with the same conviction as the pragmatic purpose, such a company's profit purpose. When you have a noble purpose you're able to capture people's hearts as well as their minds. It induces a dialogue about conflicting issues in the organization that usually get ignored, or they are solved but in favor of the pragmatic purpose. It also is an attempt by businesses to take responsibility for a lot of our societal and economic messes that normally defaults to governments to figure the way out. Incremental goals are comforting but boring, and they generate little if any passion and confidence. Noble purposes often reach for ambitious goals and quantum leaps, sometimes resulting in unimaginable progress. VB: A noble purpose is often missing in the corporate world. Charles Smith:	It's almost always missing. There's nothing wrong with the people in corporations for the most part – they're just people. When you talk with them individually many, maybe even most, will agree with all the ethical, social, and enlightened insights about business. But in public noble purpose is discounted or at a minimum it isn't in the foreground. I believe the world and companies would work a lot better if it were. To the extent noble purpose exists, it's usually much more a statement or act of commitment and intent than a reality. Even then there is some reality in it. VB: "What makes a difference is not an answer….What makes a difference is imagining from the future to the present." Is a paradigm shift, and therefore creativity and generating new ideas, only possible when we learn to block consideration of questions for which we already know the answers? Charles Smith:	Yes, the question is, how do you block it? Already knowing stops new progress. I gave a talk to 124 bankers in New York a couple of weeks ago. Something that came out of the talk was the thought that leaders need to keep two sets of mental books. In one set of books is the leaders' intent – their strategic intent, organizational intent, goals, what 'calls' them, their personal future, and the company's future. It's a matter of intention about the future. I wrote something about the second set of books the other day that I find really interesting. There's a movie with Nicolas Cage called "Next." The last scene in the movie says that the future changes every time you look at it, because you looked at it. And then everything else changes, too, because you looked at them. I've been thinking about this concept for weeks, and I can't find anything wrong with it. What does it mean? It means you keep inventing. You keep inventing – now, now, and now. I'm not discounting the other reality in the first set of books, which is to give guidance, security, and direction to an attractive future. I'm not discounting that reality but it's only one of the two sets of books. In the second set of books the only place where you have any influence at all is right now, and that's only over the next 2, 3, or 4 seconds, minutes or hours. This concept is working well for me, and it's working well for what I'm doing in my executive coaching practice. Now is the moment of power. You just keep focused on now, and keep doing what the right thing is for right now. VB: Did you receive a reaction about this concept from your New York audience of bankers? Charles Smith:	Some loved it, and some couldn't look at me. I suspect they don't look at anybody but I don't know that. I got a lot of great responses and a lot of nil responses. VB: "The less one's attachment to outcomes, the greater the chance of producing a transformation." Since the expectation of results seems inherent in organizations and even our political process, does this mean we are destined to always have significant limitations on our collective imagination? Charles Smith:	I don't know about always. It's an evolutionary challenge. There are 3 arenas in which things happen between you and me, within a company, and indeed everywhere. One has to do with being, with how we are with each other. Another has to do with doing or actions, what actions we're taking, or the process we're using. And the third has to do with what results we produce. People get addicted to one of the 3 arenas. They may get addicted to being in future and in context, to process and action, or to outcomes and results. When too much attention is paid to any one of these arenas, it precludes paying attention to the other two. When people really pay attention to achieving a certain outcome, they will generate very few if any new possibilities. It comes from human nature. It also comes from requirements for short-term financial results and the need to feel certain about what's going on, and together these work against generating new possibilities. Given that energy flows where the attention goes, leaders need to have the ability to pay attention to possibilities, futures, or commitments. Shift attention to actions, then to outcomes, and then shift back to possibilities. The point is that you're not going to get transformation from an attachment to outcomes, but you also are not going to get results from an attachment to possibilities. As a leader you have to manage your attention and move back and forth between them. Some leaders can do it well; a lot can't. VB: Is it intuitive for some people or is it most often learned? Charles Smith:	I'm not sure. I think for a lot of leaders it's intuitive. For some it's a matter of seeing the world in a new way, and they naturally behave in that way. A lot of the work I do is aimed at changing what leaders see. Their behavior changes when they change what they see when considering things like, 'Where do I pay attention?' and 'What's the impact of what I'm doing?' The organization is a reflection of the leader and the leadership group. I have a friend, a retired Major General with the U.S. Army, who said the thing that distinguishes all successful generals is they care about the troops. This is the case whether the generals are tough, soft, smart, or stupid. The fact that their attention is on the well-being and success of the troops 'calls' them to pay attention to relationships, getting the job done, and doing whatever is called for. VB: The practice of many corporations in America of changing their CEOs frequently – as often as every 3 or 4 years – may be counter-productive for achieving transformation because of the likely impact on shared understandings and energy flow? Charles Smith:	I don't have a good answer to this question. New CEOs will likely see the world in a new way, and what will be important is what they see. This means most likely they'll set the company on a new path. Such changes likely stop organizational development. The culture of the organization will also be impacted as every time there is a new leader whatever was going on before, even the good initiatives, may tend to dissipate. VB: "I have come to believe there is an inverse relationship between new possibility and the insistence on certainty." Do you recommend we pay more attention to our confusion than our certainty? Charles Smith:	When in doubt, yes. Erving Polster, a Gestalt therapist and my teacher, was always alive, animated, creative, and effective. I asked him, "How do you do it?" He replied that he keeps shifting his attention from his certainty to his confusion. This comment stayed with me. When you walk into a situation where there are new people, a new circumstance, or any number of other uncomfortable situations, if you pay attention to your confusion first – if only for a few moments – you will hear and see what's going on with the other people. You will get connected to what's really going on, and not just what you already think within your existing paradigm. Paying attention to our uncertainty is one approach; it isn't a prescription for what should be used all the time. Do I recommend that people not pay attention to their certainty? Of course not. There are times when it's absolutely what's called for. VB: You conclude by saying, "I want my children and the people I love to spend much of their time outside the box, basking in the continuing sunlight of new possibility." Are you optimistic this will happen? Charles Smith:	We have five children; the boys have just now all entered college. Spending time outside the box is a constant challenge, and I'm pleased that it happened in the past and still happens. The more our boys become attached to girls, career paths, and political views, the stronger the conversations about getting out of the box need to be. Getting out of the box is a practice. One does not stay out of a box. We're in several of them right now as we are talking. We focused on getting out of the paradigm box with a mobile phone company in India, which started operations a year ago and is already doing one hundred million dollars in sales. They devised and committed to a goal of achieving a billion dollars in sales in 4 years, and empowering everybody in the company and all of their customers. They really meant it; it wasn't just a slogan. The conversation was largely about what boxes they were in. They loved the notion of not having to be reasonable with each other in the normal course of events. They came to see powerfully that unless they could get out of the box of always treating each other reasonably – at least sometimes – they weren't going to meet their goals. VB: The transformation you're talking about relates to things that are real to the organization so the people in it can imagine a different future. Charles Smith:	Exactly. It is about being real, about being authentic. It reduces to abstraction and jargon when you try to sell it, but it's not complicated. And it works. VB: Are there more Navigators today than a decade ago and, if so, is this cause for hope? Charles Smith:	I don't know. I think we need them a lot more than a decade ago. Are there more than before? I go back and forth on this question. There's receptivity amongst a lot of young people to these ideas. Sometimes I think this kind of virtue is normally distributed like many other attributes, and people who are ready for it can be enlisted and trained. Lots of others will never get there. VB: It's interesting you said you encounter a lot of young people who are receptive. Being a Navigator suggests the need for wisdom, which is often associated with older people. Charles Smith:	That's right. I was with a good friend of mine the other day, Will (William) Spencer, who was the Executive Director of the National Peace Academy Campaign in the 70's. I was part of that lobbying campaign, and we succeeded in getting Congress to pass a commission with a half-million dollar budget. It was an effort to create a National Academy for Peace and Conflict Resolution, where it would be elevated to the level of West Point in Annapolis. The plan was to train and activate third party and non-violent dispute resolvers – mediators and negotiators. Will became head of the commission, went through a complex process, and ended up creating the United States Institute of Peace which is built on the model. He also set up the International Negotiation Network, and worked with Jimmy Carter for years doing international mediation. Will is a Navigator of the highest order, and is able to train others to be Navigators. The institute that was created does fine work, but it wasn't created at the same national level of commitment as West Point which was our intention. In my work life and personal life I'm looking for kindred spirits. I've got a loose definition and model of what's a kindred spirit. Will Spencer is a kindred spirit. He's a possibility thinker. He wants to be the bridge between conflicting parties. He is for the people he's with and talks to. He doesn't put his self-interests in the way of his clients' interests. And there's chemistry between us. There's something about a relationship among people who are connected and share the belief or at least the assumption that the alignment of values and commitments is the foundation of accomplishment. People who relate to this have wisdom and experience. Often they're senior, but they may also be young people. This might be the philosopher's stone for this stream of thought. VB: Navigating From The Future has been described as taking consciousness-based and energy-based approaches. Would you explain? Charles Smith: Inevitably organizations with the most available focused energy will prevail. This refers to energy, aliveness, and vitality. Energy is equivalent to the power to act which, in turn, determines success. This sense of an individual or group's power to act enables transformation in business, government, or other organizations – even in families. It's also a consciousness-based approach in the sense that it holds that present awareness is the most powerful thing we've got for moving forward. It's what I'm aware of right now about you, me, this situation, this conversation, and the possibility of what we're talking about. This is different from what you think and what you feel. If I ask you what you think, you're going to tell me one thing. If I ask you what you are aware of, you're going to say something else. Consciousness is like awareness. It's a state that human beings can get themselves into. You make wiser choices if your choices come from what you're aware of about the company, others in the company, the leader, and yourself. That's different than your judgments. Awareness is the basis for forward movement. Its way more powerful than assessment-based and information-based conversation, which is what usually goes on. VB: This awareness will change on a continual basis. Charles Smith:	It's a moment-to-moment flow. I'm aware that I'm currently talking to you about my work, and this is my existence. I'm then aware that I'm looking at my computer, and that is now my existence. I'm aware that I hope a lot of people want to read this interview, and then I'm aware that I hope they will want to hire me. During each thought that is my existence. VB: What is the Merlin Navigator, and who could benefit from using it? Charles Smith:	The Merlin Navigator is an assessment tool I created for people who want to measure the energy in a group, a project, or a company. It's based on the assertion that the amount of energy vitality in a particular goal-based project is predictive. Simply put, if you and I have great energy between us the chance of what we're working on succeeding is much higher than if we have little or no energy at all. Taking the hypothesis that systems with the most available energy will prevail, which we talked about a few moments ago, I asked the question, what makes energy go up or down? Group alignment makes energy go up, and misalignment makes it go down. The attribute of personal responsibility for break-through results makes energy go up or down. Respect makes it go up or down. Commitment to action and not just talking about things makes it go up or down. A positive relationship makes it go up or down. And the ability to resolve conflict makes it go up or down. When transformational leadership is present energy goes up. This type of leadership is defined as inspiring people to achieve what they're capable of, not just what they can already do. I created questions and made an algorithm to measure the variables key to the presence of energy. I then turned it into an Internet-based tool which people can apply to a given project to measure the extant energy, thereby enabling them to decide whether to intervene if it is deficient. VB: You are an Executive Coach. Would you tell us about this service? Charles Smith:	As an Executive Coach I offer a two-day intensive workshop where CEOs or other senior executives take a close look at their life, their work, their company, and their relationship to their company and its employees. They may examine where they want to take their company, where they're stuck, and where they want new clarity. We also work on giving them confidence that they can achieve the required transformation. The workshop is often taken by executives in transition – a new job, an organizational change, a big challenge, or a crisis. The first day is a very transformational with a personal inquiry into where the executives feel they are very good, and how they hold themselves back. When leaders see where they're fundamentally stuck there can be a transformation, a new possibility. From that starting place executives can have an inventive second day which ends up with new possibilities, new actions, and new commitments. It also results in a new willingness to take on what they hadn't been taking on before, because they were avoiding it, didn't see it, or were afraid of it, to name but a few of the numerous possible reasons. Charles Smith: Yes, it's one-on-one. This intensive workshop is often followed up with periodic meetings and phone calls. I'll meet with the executives individually once every three months to review and renew what was done, and to take on whatever's current – basically to coach them to deal with their new challenges. We also offer a group program called, "Navigating from the Future," which focuses on transformational team-building, strategic intent, and noble purpose. It's about getting people in the same boat and creating performance aspirations beyond normal. This often turns into ongoing project work which entails quantum leaps forward. VB: Do you recommend everyone in a work group be exposed to Navigating from the Future so they can engage in transformation together? Charles Smith:	It's best if people get the same language, but I'm not stuck on everyone having to do this program. It's important that at least all of the leaders reach agreement about the way they're going to develop the company so their actions are coherent. After the leaders have taken the program they can be responsible for implementing the new approaches in their workgroups. VB: Do you also provide other training services? Charles Smith:	We will be offering the Overview Experience, which is going to be a 1, 2, or 3-day program. It will be given either in planetariums, IMAX theatres, Cinedomes, or in rooms with the capacity for very large screens. This is a killer idea. The Overview Experience can be done with an entire company, an entire division, or a senior team – any sized group. The purpose is to have participants look at their situation from the broadest point of view possible, and to induce both personal and group transformation about their concerns. Their issues may be performance, culture, growth, finding a new purpose, or anything else of significance to them. VB: Has your work in countries such as India and China changed you personally and professionally? Charles Smith:	India has. The place is naturally more spiritual than anything I've ever experienced. It's a very contradictory place. The poverty is beyond belief and hard to abide; it's hard to be around it. When I got off the airplane in India the driver who was sent for me gave me a bouquet of flowers. Can you imagine? When I got to my hotel I had to go through a bomb screening and a metal detector, and there were guys with AK-47's and shotguns protecting the door. There was a big and tall man with a moustache and a turban – a handsome fellow – who said, "Namaste. I honor the light within thee." I worked with a company where their intention to empower their people was stronger than anything I've ever seen. It was at least equivalent to their financial growth goals? Another thing that impressed me is there's a huge entrepreneurial spirit in India like there used to be in the U.S. There is a massive drive amongst both young and older people to be entrepreneurial in business and in other ways, which is a huge energy. The energy there is so much greater than it is in this country. China is a different story. It's growing like crazy. I don't speak Chinese, and I still can't tell what's real. I like it there, and it's intriguing. I'm learning a lot about the Chinese, but I still don't have a sense of what it's really like. VB: India has obviously had a profound impact on you. Charles Smith:	The Chinese have had a huge impact on me too, but it's not about transformation. With China the impact has been as a result of its ancient culture and complexity. For example, our language has 26 letters in it; their language has thousands of letters. It's amazing. The implications of this for subtlety in communications, and likely much more, are beyond me. VB: Do you long to go back to India? Charles Smith:	Once in a while. It's so contradictory. I'm working with an Indian fellow who has worked successfully in India for 20 years. We're building a business in India, and there's good reason to believe we'll be successful. He's going to drive it and I'll go back and forth a few times each year. VB: America could learn a lot from places like India. Charles Smith:	Absolutely. Everything comes from what you believe – from the myths you've learned. They've got a can-do attitude right now that is inspiring. VB: Do you have any other advice about how to Navigate from the Future? Charles Smith:	Find people better than you are and copy them. Find people who have been successful at being Navigators. Keep learning from people you admire, who admire you, and who are very successful. Identify things you don't know, ask these people what to do, and then just do it. In my life I've been good at finding people who know a lot about what I don't know. What connects for me is that they've done it; they've created something that I want to create. VB: Finding people that are better than you is a relative term isn't it? Charles Smith:	It's all in your own opinion. I have a former client who was the CEO of a Fortune 500 company. He is now running a 93-acre Arabian horse farm. This fellow knows so much about structure, converting imagination into practical terms, and really inspiring people. I know a lot about those things, but he knows how to do it with scale. That's what I mean by 'better.' They are the people who have a skill or way of being which you admire and want to imitate, or at least understand. VB: You've been very generous with your time. Thank you. It's been a great pleasure talking with you. Charles Smith:	Your questions have been extraordinary and provocative, and I appreciate the opportunity. Leaders "Navigating from the Future" is not a play on words. Author Charles E. Smith provides a great deal of thought provoking ideas in his 107 page book for how to become a transformational leader. "Leaders pledging themselves and their constituents to an inspired cause in the face of massive uncertainty." "Having goals that are precise, calling for unpredictable breakthroughs in courage, imagination, technology, and management." Leaders inspiring people to do what they are capable of, not just what they do." Mobilizing contagious innovation and cooperation, by whatever means, with all possible support." There is much to reflect about. One is Charlie Smith's description of Einstein's "code breaker," which is there is no necessary relationship between sense experience and thinking. Since 1969 he has been an executive coach and organizational development consultant to senior leaders of companies, associations, and government agencies in the U.S., Canada, and Europe. He is a Strategic Partner in the McLane Group. His focus is on stimulating possibility thinking and helping leaders and groups do what they are capable of, and not just what they do. Charlie Smith is the author of Navigating From The Future: A Primer for Sustainable Transformation (2009), and The Merlin Factor: Keys to the Corporate Kingdom (1995). The Merlin Factor has been translated into Chinese and Romanian. 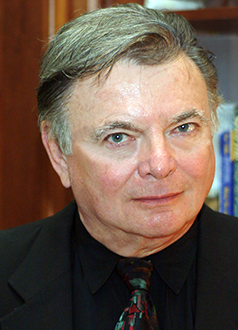 He has written numerous articles on personal and organizational development including "The Merlin Factor: Creating Ambassadors from the Future," "Explainers Anonymous," "Mentoring Leaders with Vision," "Board Dialogue as a Path to Competitive Advantage," "Who Stole My Synergy," and "King's Counsel" which were published in the London Business School's Strategy Review. He also authored the chapter "Stage Three Leadership: From Good Ideas to Unified Action," which was published in 2006 in Beyond Earth: The Future of Humans in Space. Charlie Smith may be reached at smicharlie@aol.com.